Unable to attend State Leadership Conference but you don’t want to miss the excitement? Are you ready for the ultimate Nebraska FCCLA leadership experience? Start making plans for State Leadership Conference 2019 with the conference release and planning guide. 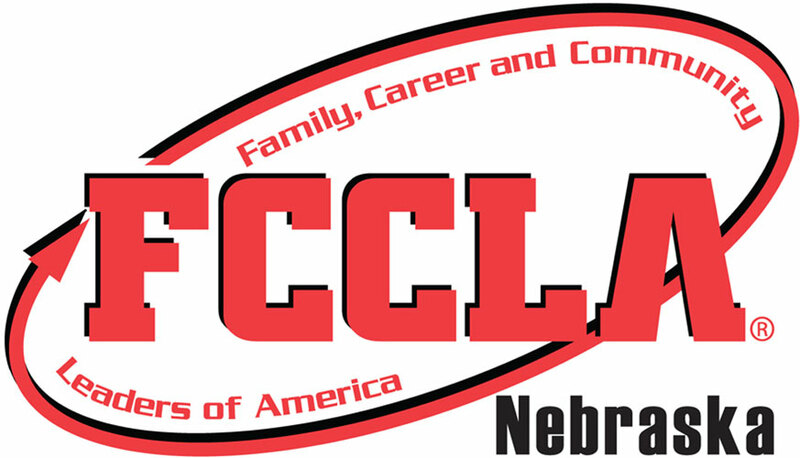 View the Nebraska FCCLA State Leadership Conference schedule & directory. Conference Evaluation – After SLC comes to an end, please take a few moments to complete the SLC Conference Evaluation! The State Officer Team is proud to release many of the details for the 2019 State Leadership Conference events. Conference At-a-Glance provides a big picture overview of the conference. You can see more detailed information about the conference and voting delegate information in the 2019 Conference Release. At-A-Glance Schedule – Updated March 7, 2019! Adviser and Adult Volunteer Schedule volunteers make for a successful State Leadership Conference Experience! All FCCLA Tours and Serves will depart from the Graduate Hotel Lobby. Check in at the FCCLA Information Desk. Honorary Conference Assistants play a vital role in the operation and success of our annual State Leadership Conference. Conference Assistants must be seniors in high school with experience in the FCCLA organization. Conference Assistants will receive their specific assignments at their Orientation Session from 4:00 PM-5:00 PM on Sunday, April 7. In exchange for their time, their conference registration will be reduced by 50%, receive a state t-shirt, and will be provided lunch on Monday. These individuals may not be involved as a STAR Event competitor. Do you think you know everything there is to know about Nebraska FCCLA? Test your knowledge with the 2019 Knowledge Bowl! Chapters may submit a team of 4 affiliated members per school. Each team member will complete a written test on Sunday, April 7 from 5:00-6:00p.m. Depending on the number of teams, two testing times may be offered. Test scores will be averaged to determine the top four teams to advance to live competition round. Live competition will take place during the Business and Recognition Session. Applications are due to the State Adviser by March 1. This year, there are quite a few opportunities for students to help make our conference a success. The first might be for the seniors in the organization to apply to serve as an Honorary Conference Assistant. Non-STAR Event competitors can also volunteer for one of the many FCCLA Serves projects. These service projects will be taking place throughout the city at locations such as People’s City Mission, Matt Talbot Outreach, Lincoln Zoo, and Fresh Start. For more information, check out the opportunities for supplemental activities on the “Meetings” page of the Nebraska FCCLA website. Ushers/Greeters at main sessions: Advisers and members are needed to assist the Honorary Conference Assistants and SPOT with welcoming conference attendees and checking for nametags and proper dress code. Community Service Donations: We need your help in counting the community service project donations before Opening Session on Sunday evening! Advisers and chaperones play a vital role in ensuring the annual State Leadership Conference is a success. The following are positions that need to be filled. Power of One Line Up: Assist with ensuring Power of One award recipients are seated alphabetically by school at the Business and Recognition Session. Lead Tours: Adults are needed to chaperone groups of about 20 students on tours. You will not be transporting any students. Lead FCCLA Serves: Adults are needed to chaperone groups of up to 20 students on service projects throughout the city. Your lunch on Monday will be provided as part of this project. You will not be transporting any students. Directors at PBA and Graduate Hotel: Adults are needed to direct members and volunteers to correct room locations and/or tours and FCCLA Serves events. https://bit.ly/2QrJjRd – Adviser/Chaperone/Chapter Volunteer Sign-up If you are willing to assist, please complete this link by March 1. Assignments will be sent to advisers by March 15. All housing reservations must be submitted to the hotel directly, not to the State Office. Chapters are highly encouraged to stay at the Graduate Hotel (main conference hotel), Courtyard by Marriott, Hyatt Place and or the Hilton Garden Inn, which are official conference hotels. Details on direct billing and reservation forms will be posted when available. Nebraska FCCLA Group Code: G-FC19 use that code and go to the website at www.hyattplacelincoln.com or call our reservation hotline at 1-888-492-8847 to book your rooms. Use the Hyatt Place Group Code How To to walk you through our online reservation system if you have questions. You may also go to http://www.lincoln.org for a list of hotels in Lincoln. Additional room blocks at other hotels will be made available once the Graduate Hotel is full. FCCLA Chapter Advisers and retired Advisers are requested to serve as Lead Room Consultants during State Leadership Conference STAR Event Competition on Monday, April 8, 2019. Each district must submit three Lead Room Consultants to volunteer in this capacity. The Lead Room Consultant meeting will be held on Sunday, April 7 from 4:00-5:00p.m. In order to attend the STAR Events Awards Session and Officer Installation on Tuesday, April 9th parents/guests must be listed here Parent/Guest Admission List. Individuals not listed here will NOT be admitted due to security at Pinnacle Bank Arena. Admission is $5.00/person and will be collected at the door. Missing State Leadership Conference 2018? Watch the 2018 SLC Conference in Review from Kate DeCoste Photography!